Spring 2019 VC trainings are scheduled to begin on 2/18/19 and run thru 3/6/19. 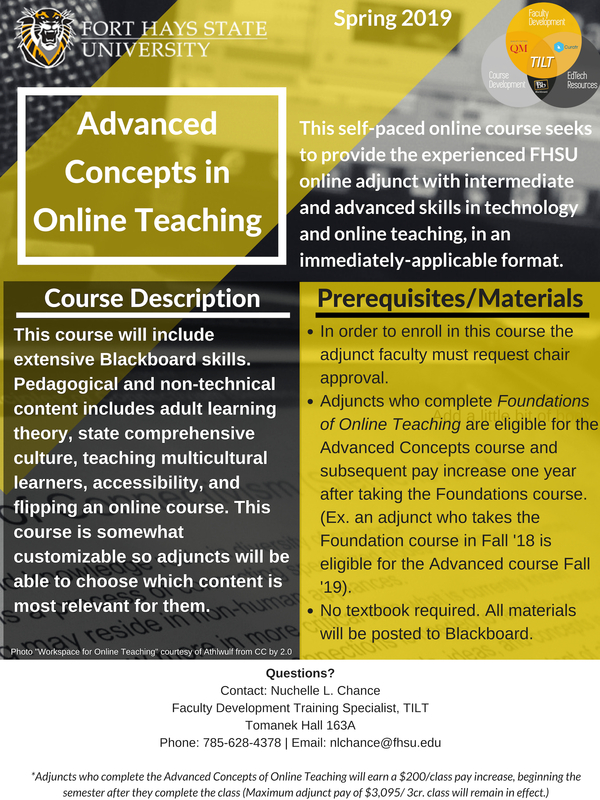 TILT is offering the Foundations of Online Teaching and Advanced Concepts in Online Teaching courses thru Blackboard. Faculty will need to get chair permission to enroll. 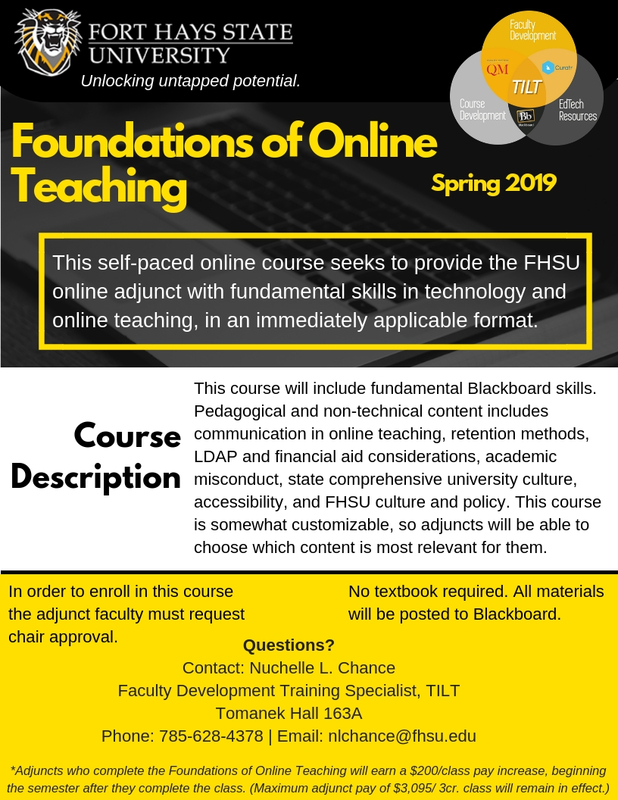 You may send email to TILT-FacultyDev@fhsu.edu or either faculty development staff.